Hampton’s culture movement is a competitive advantage in hospitality. It’s a FACT. Hampton’s culture movement is a winner. The hospitality industry is competitive. And when similar offerings like updated suites, complimentary breakfasts, pillow-top mattresses and deluxe showerheads are found in hotel after hotel after hotel, how can a brand differentiate itself in order to create loyalty among its guests? How can it draw in new customers—pulling them away from competitors offering comparable amenities? 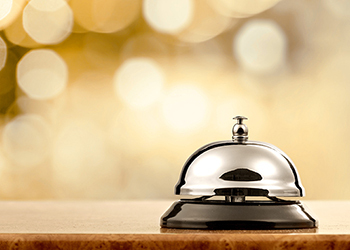 It comes down to one thing that can’t be replicated or copied—the service experience. Hampton is an example of a brand that went “all in” on creating a culture that was committed to creating a differentiated guest experience. And it paid off. The FACT acronym was created to reinforce Hampton’s core values throughout the company. It’s a phrase that is both easy to remember and practical—helping team members decide in an instant if an action is a fit for the brand. We explain the idea of purpose and its importance to the 'Hamptonality' culture movement in this clip from the Ultimate Culture Conference. 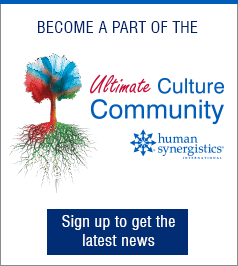 To enjoy the full video, sign up and join our Ultimate Culture Community. It’s not a program. It’s an ongoing journey. Creating a culture that truly inspires and motivates people to give that little bit extra so the company can find success can’t be done overnight. It’s a long-term commitment, not an initiative. Hampton began its Hamptonality-based culture 10 years ago—and efforts to sustain it are continuous. Throw out all the marketing speak. To create a culture that resonates with people, move away from carefully crafted mission statements dreamt up by corporate executives and creative agencies in a boardroom. It’s not an effective way to connect people’s minds and hearts. Frame a new identify by crowd-sourcing. Want your people to feel connected to the brand? Ask them for their thoughts! Embrace their strengths and the values they believe in! Hampton’s current brand values of Friendly, Authentic, Caring and Thoughtful were identified through employee focus groups. Hampton still leverages this technique and recently crowd-sourced the content of its annual conference for 2,100 general managers. It was the most successful conference to date. Make trainings about people and their real, authentic personalities – not about the brand. Provide tools and resources that come straight from the field. Instead of relying on static presentations, team members can share real-life experiences that embody your service model so others can learn what is working best. All Hampton training videos feature real employees—further emphasizing the brand’s focus on authenticity. How Is Your Culture Unique? Hampton does things differently to ensure that 60,000 team members working in 2,100 locations in 18 different countries feel connected to its values of being friendly, authentic, caring and thoughtful. And it begins during the hiring process. Questions asked to candidates are not focused on past hotel experience, but on how well they represent the FACT core values. The goal is to hire people who are already a culture fit and then train them on the hotel skills. Hampton put a name to its culture 10 year ago. As you emphasize the purpose of your brand, how will you ensure that your culture is aligned? Good luck with your culture development—it’s well worth the time and effort. Let us know how you do, and we welcome your stories, Tweets, and Comments via the social media buttons below. Karl Thomas knows hospitality brand management, thanks to 12 years of experience with Hilton Worldwide’s Hampton brand. He’s served as an effective leader equipping hotel general managers, team members, owners, and management companies to drive robust revenue and best-in-class guest loyalty. As senior director of Hampton’s Brand Culture & Communications team, Thomas oversees a holistic campaign to create innovative tools, resources, and educational experiences that infuse brand culture into every aspect of hotel operation.